Welcome to the 8th AHIQ improv link up. I haven't done much since yesterday's post. I cut enough denim squares to go once round my existing piece, and made a few blue 9 patches. It's surprising how long cutting all those squares took. Usually I do a bit at a time with that sort of job, so I don't notice but I wanted to look at it with a whole round laid out, so that wasn't an option this time. I've got two slightly conflicting thoughts about this at the moment. The first is that I rather like the plain squares - sort of quiets things down a bit and am tempted to leave them. The other is that I want to find a way to add more of the shirt strips: one way to do that would be as little squares, or as joining pieces between some of the denim bits. I'm wondering about going for a bit of a medallion moment: maybe leave this round pretty much as is and then go around again, getting more shirty and maybe adding some more crosses too. Job for today, then, if I get the time, is to cut some shirt squares and see what I think. Sadly, however, there are business tax-y things that need to be done first. Still amazing: denim squares and circles. Whenever I've sewn denim by hand (by necessity, not design) I've disliked the effort needed to push the needle through. Do you have a special trick? I love your bits of orange in this piece and the added 'X' blocks! This is SUCH a wonderful project -- have fun testing out your latest ideas for the medallion approach. A wonderful alteration to the denim plan! I like those little x's you've thrown in. Just enough! No improv again for me this month. 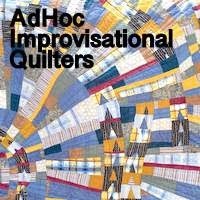 I've just been telling Ann that I'll have something for sure next month, but, I've realized my guild meeting for my secret purple improv-ish guild challenge quilt may be after the link up closes. We'll see what happens! Anyone who has practical experience of trading forex will probably be accustomed to the notion of using support and resistance to assist them in their daily trading decisions. Technical analysis can be used in binary options in order to identify the price movements as a means of analyzing the future direction of the prices. It's like many moons - I love this quilt. I love the idea of little shirty squares, maybe some shirty nine patches would work? It's looking great and I look forward to seeing what you do to it today! I really,really like this. No matter what you end up deciding with the shirty blocks, it's going to be fabulous.